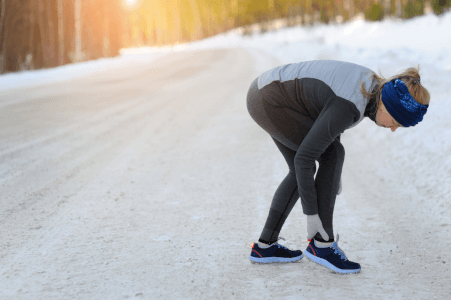 Though anyone can fall victim to Achilles tendonitis, runners commonly suffer from it, so it’s no surprise many require the best running shoes for Achilles tendonitis. Not all athletic shoes are made the same, and it can be tough going through all the features to ensure they have the proper support and cushioning to help your injury. In this article, we will help you find the best pair of shoes for Achilles tendonitis. Our experts have done the analysis and below gave the main criteria that need to be considered when purchasing a good pair of shoes. In addition, we’ll review 10 top-rated shoes, addressing everything from their design to their pros and cons. This way, you’ll have the information needed to find the best running shoes for Achilles tendonitis. NIKE Men’s Flex Experience RN 6 Running Shoes can pass as everyday shoes due to their modern design. 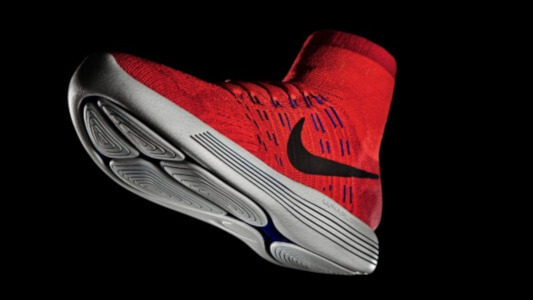 Nike created these shoes for runners who opt for comfort due to the upper’s sock-like fit. If you don’t require cushioning, these provide a lightweight amount. These RN 6 Running Shoes offer a rounded heel and light upper support. Some say they can be narrow and run slightly small. Even so, they have a good mid-sized heel-to-toe drop, and the mesh upper offers flexibility. There’s additional support in the light heel cushioning and padding on the ankle. NIKE Men’s Flex Experience RN 6 Running Shoes are breathable and lightweight to keep feet nimble while offering a good range of movement. However, it’s more beneficial to order half a size up for greater comfort. Adidas Men’s Ultraboost are good tendonitis shoes for long-distance runners. They’re lightweight while offering great flex and stretch to keep you comfortable on those extended runs. There’s no concern about proper movement thanks to the molded heel and additional flexibility throughout the shoe. Its rubber outsole also grips well so there’s no risk of losing balance. For ball of foot bending, its Fitcounter molded heel allows for natural movement. There’s good responsiveness and with a mid-sized height, light heel strikers can see the benefits. They may run large, so consider purchasing a half size smaller. 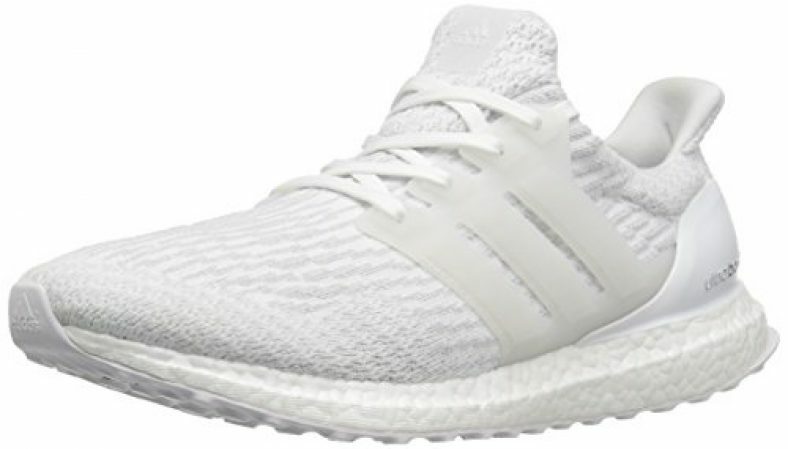 Adidas Men’s Ultraboost are good sneakers for Achilles tendonitis for those seeking to run longer. The molded heel does well for natural movement to alleviate pain and pressure. ASICS Men’s Gel Nimbus 18 Running Shoe is one of many in the Nimbus series from ASICS that moves along with a runner’s gait. This is thanks to the improved guidance technology that allows a vertical flex groove. They’re also good running shoes for those with plantar fasciitis as well. With a heel clutching system, there’s improvement in the heel fitting environment. Further support is found in the gel technology granting greater shock absorption, and it being mid-sized balances it all out. There’s enough flexibility to adapt to your feet. A seamless construction tops off the comfort felt throughout this product. 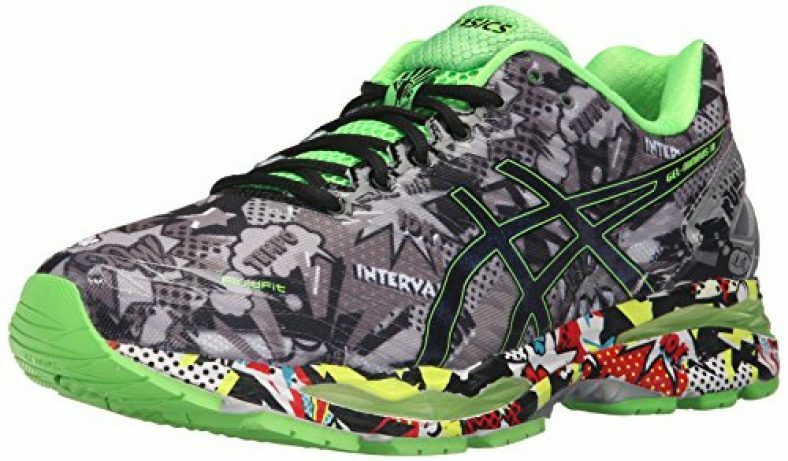 ASICS Men’s Gel Nimbus 18 Running Shoes are not just good shoes for achilles tendonitis, but also for additional pain you have as it provides multiple areas of cushioning and support. It offers good flexibility to conform to your feet. 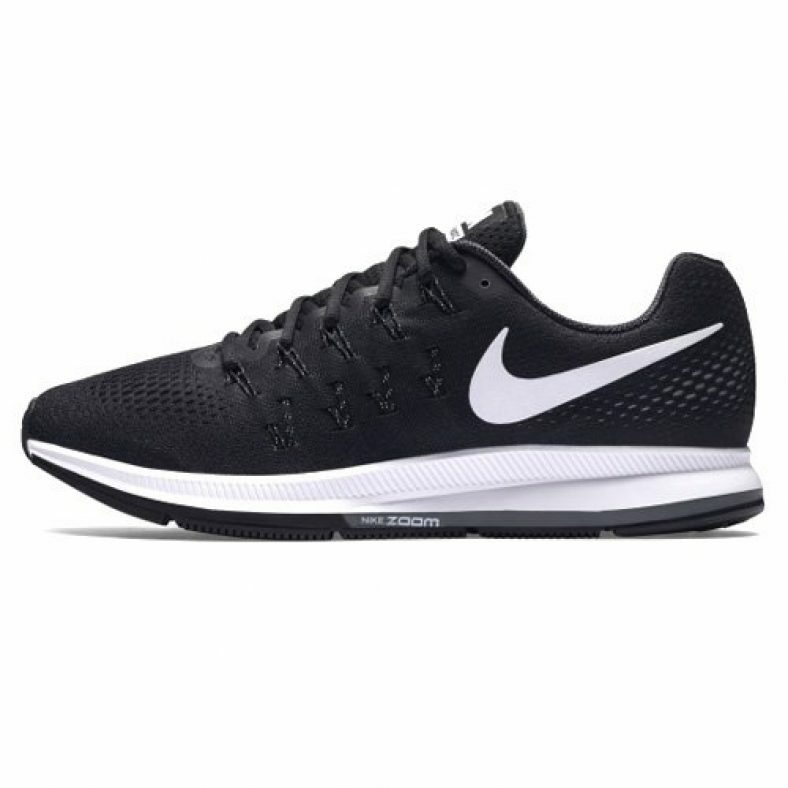 NIKE Men’s Air Zoom Pegasus 33 best serve those who need to accomplish high-mileage running. As sneakers for Achilles tendonitis, they offer good responsiveness so the impact from your heel rebounds quicker. This helps reduce the shock and pressure for a less painful and more comfortable run. With thin to moderate cushioning, your heel rebounds quicker for great response. However, the heel tends to be on the narrow size, but there is good flex in multiple directions to adhere to your running style. The higher heel height can assist with granting stability. NIKE Men’s Air Zoom Pegasus grants great stability with arch and heel support. They’re firmer to improve on longer runs, they rebound well, and distribute shock evenly so your heels don’t feel the brunt of the impact. 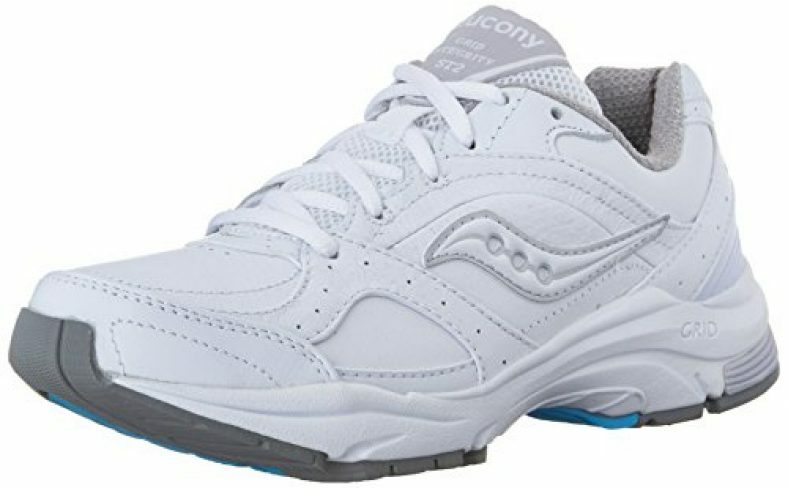 Saucony Women’s ProGrid Integrity are great walking shoes for Achilles tendonitis for neutral walkers. This is aided by responsive cushioning as well as the forefront stretch zone. It has a removable foam footbed, a benefit for those of you who may require some additional inserts to help with your injury. These offer a padded collar and responsive cushioning for comfort and stability. Stretch is forgiving for a secure fit and easier movement. There’s only a slight elevation in the heels, so these are better used for neutral walking purposes. They do run small, so ordering larger is better. Saucony Women’s ProGrid Integrity may be the best women’s shoes for Achilles tendonitis because they’re responsive, stable, and offer an effortless fit so you can accomplish a variety of tasks from running to walking. PUMA Women’s Tazon 6 WN’s FM Cross-Trainer Shoe has the best arch support for many thanks to the EVA found in the heel, which also quickly absorbs shock. They’re as good for running as they are for wearing all-day. The lace closure provides a snug fit so your feet don’t slip out. Its rubber outsole grips for added traction. These are better suited for those with normal arches. There’s not much to the ankle collar, but with EVA cushioning in the heel, they offer an excellent means of absorbing impact from hard running. PUMA Women’s Tazon 6 WN’s FM Cross-Trainer Shoe features EVA heel pod for added cushioning and shock absorption so your heel remains pain-free. 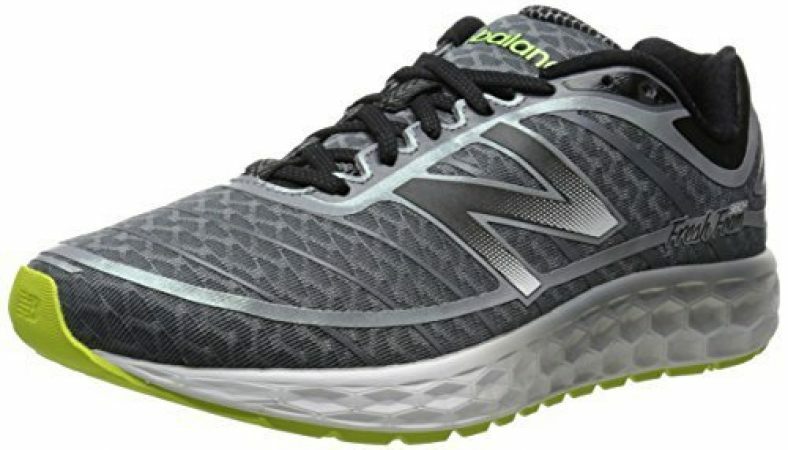 Men’s M980 Boracay Running Shoe from New Balance is a good choice for those seeking affordability without losing any features. They can easily be used as walking shoes or running shoes as they offer a balance between cushioning and weight as to not throw off your natural movement. The heel is forgiving as well. These grant you adequate arch support, although they could do a better job. They run on the smaller side, so you may want to opt for half a size larger and wider to have toe room. Nevertheless, they provide good stretch and consistent flexibility while offering some cushioning that isn’t too soft or overly firm. Men’s M980 Boracay Running Shoes provide responsive cushioning for road-running and to aid in correcting stride. They also have seamless printed construction to prevent aggravation. 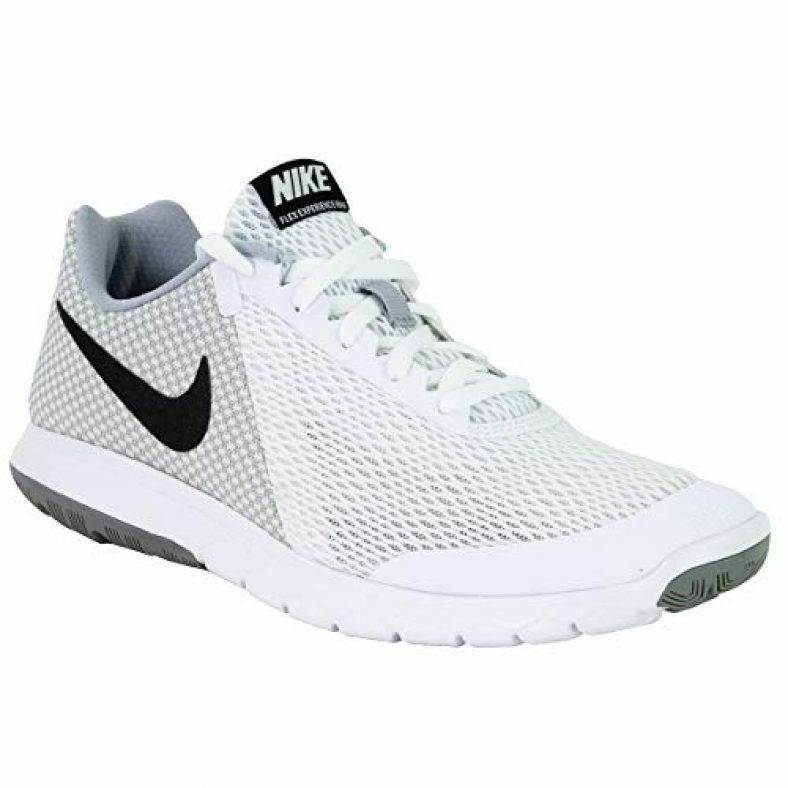 Nike Women’s Free Running Shoe is one of many running shoes from Nike.. They have enhanced technology for ideal flexibility so you can have dynamic movement. They’re Achilles tendonitis shoes for suffers of flat feet. It’s also comfortable for frequent running, and offer optimal heel striking that doesn’t add on more pressure or shock. This lightweight foam design won’t drag you down, and its tri-star pattern gives a smoother heel to ball of foot that helps reduce flat feet. There’s just enough height and cushion on the ankle for support. Nike Women’s Free Running Shoe feature great flexibility for favorable ball of foot bending that takes away pressure while offering support. Orthofeet Women’s Orthopedic Shoes are the go-to women’s shoes for Achilles tendonitis problems. They feature contoured orthotic insoles with arch support that’s anatomical. For anyone searching for Achilles tendon shoes that help reduce heel pressure, these shoes feature form-fitting heel cushioning. There’s even air cushioning for extra support. An Ortho-cushion system gives your feet better, more stable movement. The length is true to size, but the width may be narrow for some people. 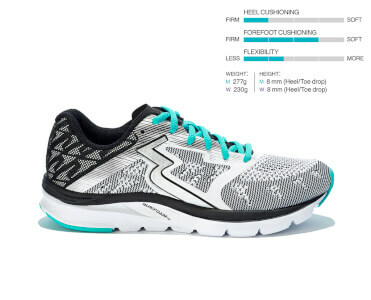 Its gel padding conforms to your heel as you walk and run. 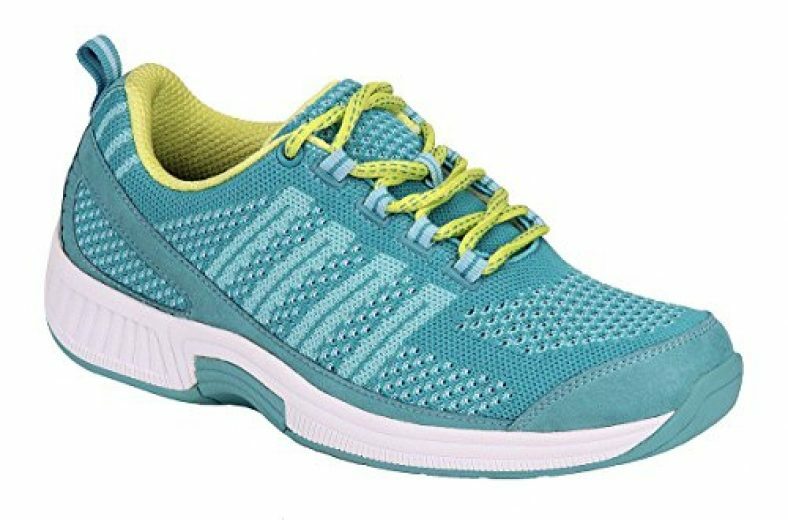 Orthofeet Women’s Orthopedic Shoes are the go-to Achilles shoes for many thanks to how well the gel cushioning supports the heel and reduces pressure through the ankle and up to the legs and back. Skechers Women’s Shape Ups Strength Fitness Walking Sneaker can be good walking shoes for those looking for something breathable with great comfort and a sporty style. They feature a rubber sole providing support and traction, and the padded tongue and collar offer additional layers of comfort. Padding throughout readily absorbs shock, which helps make them the best sneakers for Achilles tendonitis. Sufferers of Achilles tendonitis can appreciate the thick sole and padding that reduces pressure on the heel and absorbs shock. There’s a good amount of movement once you get used to the slight rocking on the bottom. They provide extra height, which can help with stability. Skechers Women’s Shape Ups Strength Fitness Walking Sneaker are great for neutral and long-distance walks. They can take some time getting used to, but once you break them in, they’re stable and comfortable. What Shoes are Good for Achilles Tendonitis? Achilles tendonitis doesn’t have to be a debilitating injury that keeps you from your runs. The best shoes for Achilles tendon problems will help you overcome these issues when you hit the pavement. If you’re unsure what to look for, check out the following guide to learn more about important aspects and features such as arch support, sizing, and more. If you have issues with your Achilles tendon, you’ve more than likely already seeked treatment for it. You don’t want to make the issue worse or suffer a complete tear. To prevent that, it’s important to find shoes to support your Achilles tendon that have proper arch support. Many, but not all, sufferers of this injury also deal with fallen arches. So, accommodating shoes are a must. Even if you don’t have flat feet, finding good pair of shoes with ideal support can help since the disorder is largely characterized with pain above your heel. Do keep in mind, what works for one person isn’t always going to work for someone else. The amount of arch support needed mainly depends on your specific issues with your arches. Finding the right size can be stressful as not all shoes are made the same and it’s a vital feature to focus on. Shoes that don’t fit can lead to a host of issues such as numbness and blisters. Since abrasions on your feet are symptoms of Achilles tendonitis, wearing improper footwear can only make matters worse. It is imperative you size correctly. Have your feet measured so you have an idea of what to look for. The best shoes for tendonitis in your feet for running purposes will leave a good amount of room as to not cause any constriction. In addition, the shoes should be easy to slip on and off whether laced up or untied. It’s natural for your foot to bend at the ball with each step you take. How much bending you require depends on your walking and running speed. If you’re looking for the best walking shoes for Achilles tendonitis, look for a good amount of flexibility in the right places. A good way to tell if there is too much flexibility is by twisting the shoe and seeing how far it goes. As for Achilles tendonitis shoes for running purposes, you need a proper balance between flexibility and a hint of rigidity.This will provide you with better support so you do not wind up further harming yourself and placing unnecessary stress on your tendon. Another prime symptom you may experience is swelling or pain on the back of your heel. Though not all running shoes use of cushioning, Achilles shoes do better with, than without it. Cushioning performs a few actions inside your shoe depending on how it’s utilized. One, using different cushion densities can help the overall flex of the shoe. Another feature it provides is shock absorption. Runners can strike a variety of surfaces, and the impact can reverberate up your heel and legs. All this with this condition can further aggravate it by straining it. So, it’s beneficial to have enough cushioning so it absorbs most of the shock before it strikes your heel. 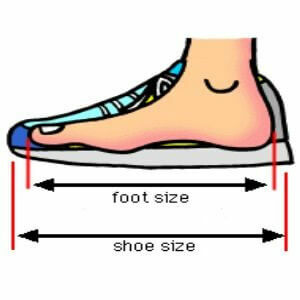 In an effort to find Achilles tendon shoes that help relieve the pain and treat the issue, focus on overall height. You don’t want to find a shoe that’s too high or too low, so searching for an in between is the goal. Having shoes that are too low can complicate those with flat feet as well. Anything too high has a chance of disrupting stability. Focus on heel-to-toe drop as well, a low to medium drop is useful as it absorbs some of the strike and takes pressure off of your heel for greater support and comfort. Most runners’ shoes are slightly elevated to support balance. Not everyone thinks to consider the ankle collar while searching for best shoes for Achilles tendonitis. We’re here to inform you it’s another significant feature that is worth as much consideration as anything else. Due to the location of the tendon, a hard ankle collar can rub against it and irritate it. A softer collar can reduce discomfort. At the same time, the collar needs to offer enough support so your ankle has no risk of rolling out, which can lead to incorrect movement and fractures. Now that we’ve addressed our recommended top 10 products, let’s dive deeper into shoes to help Achilles tendonitis by answering some standard questions.You’ll be armed with enough information to find the right pair of shoes for your needs. How to stop shoes from rubbing the Achilles? It may seem nearly impossible to find shoes that actually rub against the back of your ankle. However, as many treatment plans for the condition include wearing shoes with built-up heels, that’s one way to alleviate tension and pressure against your Achilles. Which shoes should I wear with Achilles tendonitis? Though we went over some top-rated products, it’s still helpful to understand the shoes you should look for in general. Many doctors recommend shoes with a slight wedge in the heel to elevate it in addition to shoes with supportive inserts with cushioning for support. Our top pick for best running shoes for Achilles tendonitis are NIKE Men’s Flex Experience RN 6 Running Shoes for guys and Saucony Women’s ProGrid Integrity for the ladies. The RN 6 fits almost like a sock and still offers ideal support and a rounded heel. Meanwhile, ProGrid Integrity relieves heel pressure while offering enough room for free movement. ASICS Men’s Gel Nimbus 18 Running Shoe: Multi-directional stretch mesh for a better fit. Men’s M980 Boracay Running Shoe: Forgiving heel and responsive cushioning. NIKE Men’s Air Zoom Pegasus: Quick heel rebound to reduce pressure. Аdidas Men’s Ultraboost: Molded heel for natural movement. 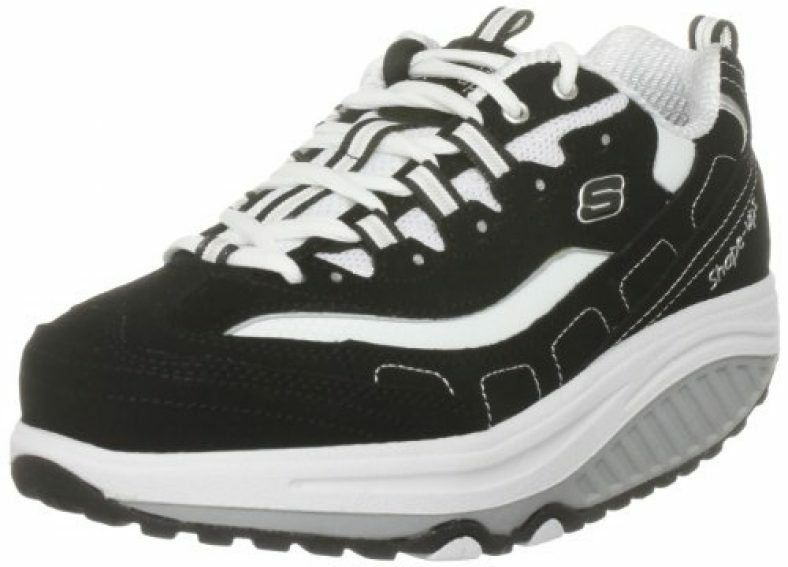 Skechers Women’s Shape Ups Strength Fitness Walking Sneaker: Padded collar and good shock absorption. 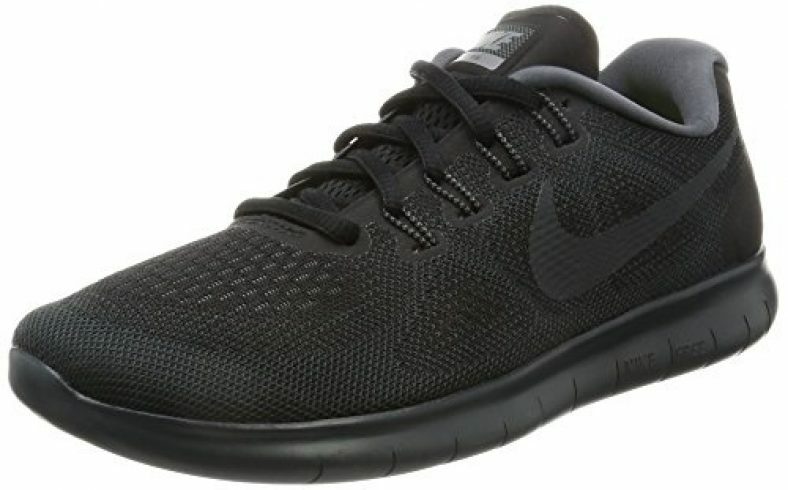 Nike Women’s Free Running Shoe: Dynamic movement with good heel striking. Orthofeet Women’s Orthopedic Shoes: Form-fitting heel cushioning with anatomical arch support. 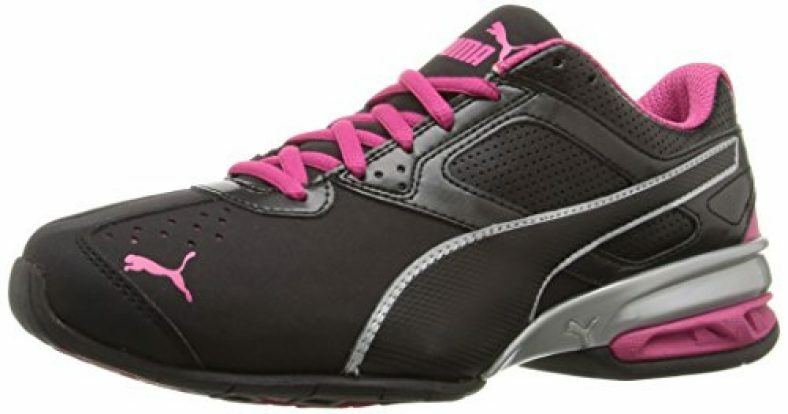 PUMA Women’s Tazon 6 WN’s FM Cross-Trainer Shoe: EVA heel for absorbing shock. If you like running and it is your hobby, then you may also be interested in other active sports. We recommend you to read hunting boots reviews.